With Valentine's Day coming up, it's a chance to show those who've supported our team over the years just how much we love you! Put that New Years Resolution behind you, because we have 2 kilos of Lindt chocolate for one lucky person. For your chance to get your hands on it, head over to our Facebook Page and tell us how many choccies you think are in the hamper. This competition is conducted by Landmark Harcourts National Corporate office, located at 737 Bourke St, Docklands VIC 3008. It is not affiliated or endorsed by Facebook. The full competition is hosted and visible at https://www.facebook.com/landmarkharcourts. 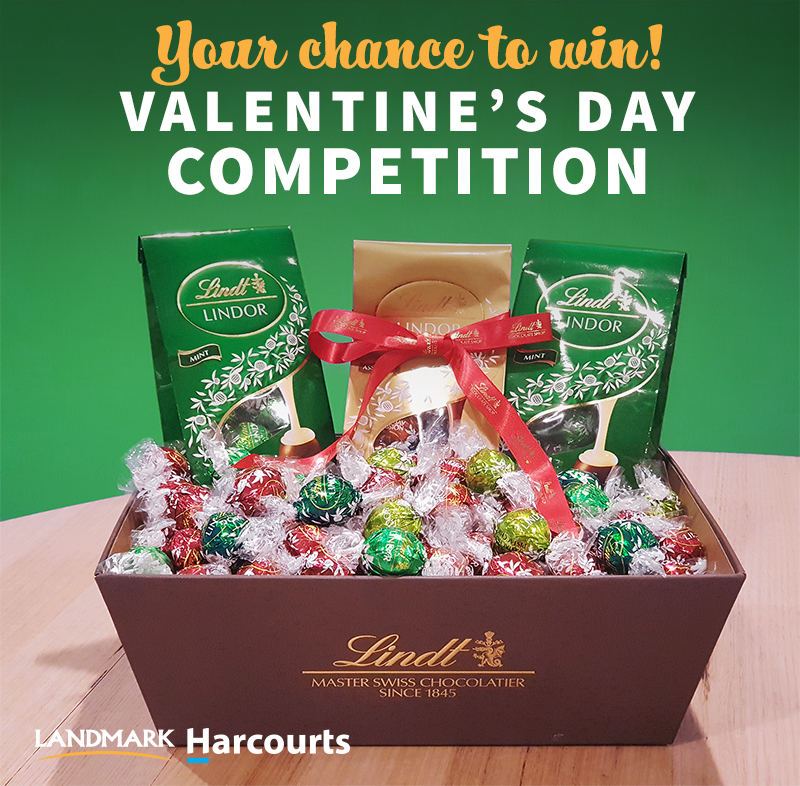 Prize: The successful winner will receive a hamper of Lindt chocolates valued at $200. Eligibility: To be eligible entrants must like and comment on the Facebook post listed above. No purchase of product or service is required for entry. Entrants must be Australian residents – sorry, international friends. Void where prohibited. The competition will run from 4:00pm EST February 11 2019, and conclude on 14 February 2019 at 4:30pm EST, to be drawn at the Landmark Harcourts Corporate Office. The winner will be selected upon conclusion from the pool of entrants who correctly guess the number of chocolates in the hamper and posts their response on the competition Facebook post. If no entrant provides the correct guess, the prize will be awarded to the closest entrant. In the event of multiple successful entries, the winner will be randomly selected from those who guessed correctly. The successful winner will be notified both privately via Facebook, and publically through the Landmark Harcourts National Corporate Facebook page.If the selected winner cannot be contacted and does not respond within seven (7) business days, a new winner will be selected from the eligible original participants.